You shouldn’t judge a book by its cover, nor a game by its name. Because while many will agree that Striped And Swiped. Seriously? Yup! is one of the more ridiculous game titles to appear on the App Store, it also happens to be one of the most feverishly addictive puzzlers available right now. 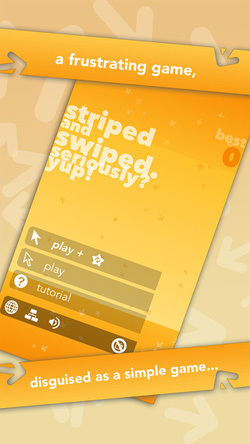 Striped And Swiped, Seriously? Yup! (or, in the interests of brevity, let’s useThunderstated’s clever acronym, SASSY) is the kind of quick-blast mobile game that you fire up to kill a minute, and end up prodding away at for an hour. Another prime example of a well defined single-minded proposition perfectly suited to the touch interface. The gameplay mechanic is so one-dimensional it sounds like a recipe for instant tedium. 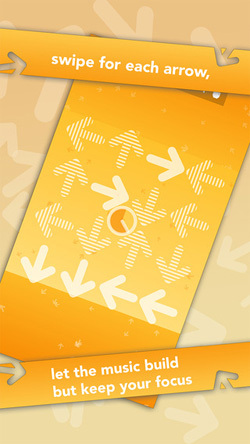 Arrows pop up on the screen, and you swipe in that direction. Seriously? Yup! But before you dismiss SASSY as a pointless distraction, give it a spin. You’ll be pleasantly surprised. 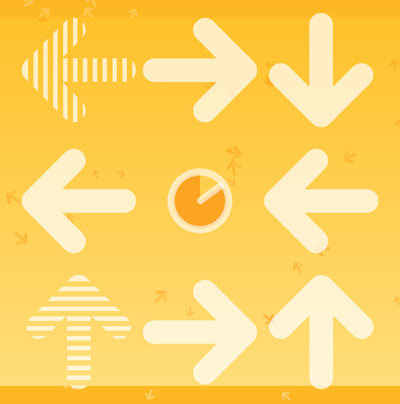 Starting off with just four arrows on screen, it’s easy enough to swipe them all before the timer runs out, but seconds later things get heated. 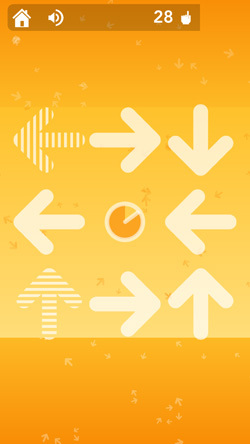 Faced with a grid of sixteen or so arrows, including striped variants which mean you need to swipe in the opposite direction to which they are pointing, you’ll need your wits about you to make progress. Besides being delightfully addictive, SASSY is also quite a refined production – the nature of the game doesn’t call for too much in the way of effects and fancy design, so the sharp minimalist approach suits it perfectly. You’ll be so deeply entranced by the intensity of the gameplay that you’ll barely have a moment to think about the design anyway. 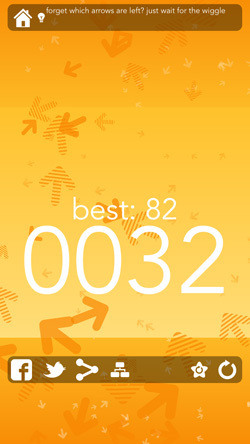 Fast, frantic and infinitely challenging, this feels like the kind of game which should be terribly frustrating but somehow keeps you hooked, desperate to crack that high score. SASSY is so much fun to play that it’s frankly surprising that it doesn’t cost a cent.